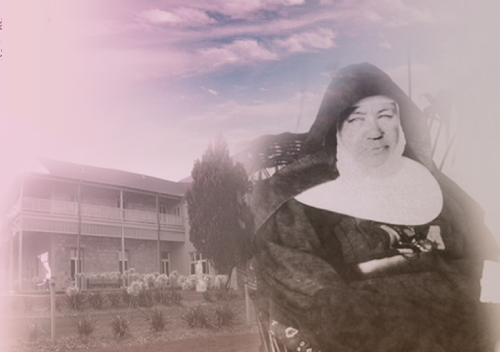 As the Sisters of St Joseph made foundations in many widely-separated parts of Australia and New Zealand, Mary's fidelity to her call, her strong love for God and her desire to do what she could for people in need, touched many people's lives and have left a legacy that endures to this day. 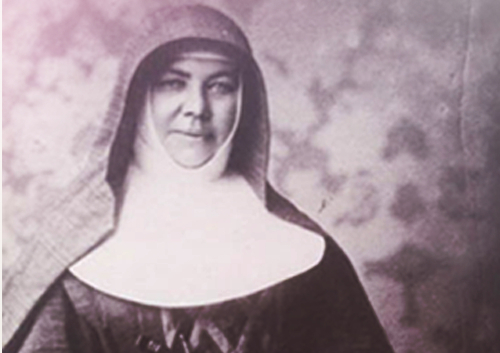 From the time when Mary MacKillop and the sisters began their work in Adelaide in 1867, Mary was out and about with them. Wherever possible, she accompanied them to new foundations, including those in Queensland in 1869-1870. Once they were established, she visited them as often as she could, instructing them in the finer points of their rule and in teaching method. In fact, the accompaniment of sisters to new foundations and regular visits afterwards became a hallmark of her leadership throughout her life. 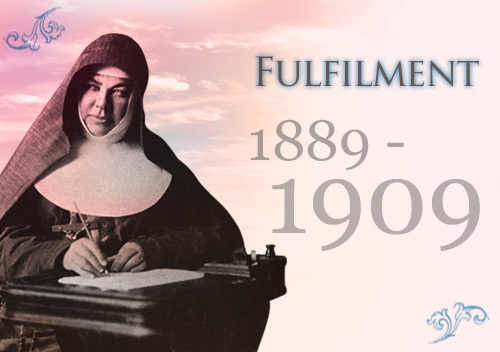 Wherever the sisters were, whether in South Australia from 1866, Queensland, 1869-1880, Bathurst, 1872-1876, New South Wales from 1880 onwards, New Zealand from 1883, and Victoria from 1889, they knew they could rely on her continuing support. 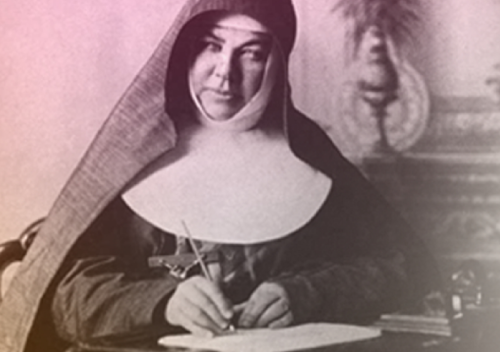 She did not get to Western Australia before Bishop Gibney declared that his sisters were diocesan and most of those already there had returned to the eastern colonies. 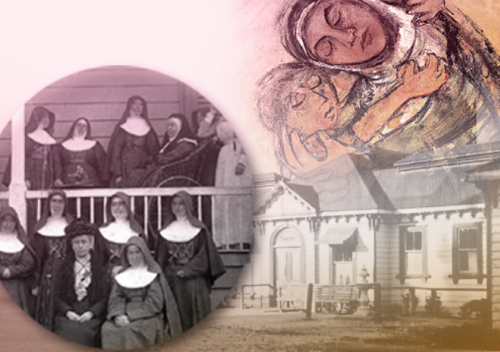 In 1891 the sisters celebrated the Silver Jubilee of the foundation of the Congregation. 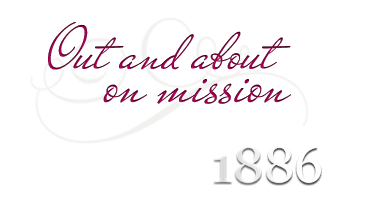 At the time just over 300 sisters were spread across 80 foundations in nine Australian and New Zealand dioceses. It is clear from her jubilee letter that in 1866 neither Mary nor Julian had any idea as to what their next step might be, much less that such expansion could be possible. Twenty-five years ago, we first kept up St Joseph's Day as the special Feast of our proposed Institute and little did either of us then dream of what was to spring from so small a beginning. First we had Mass and Holy Communion in the church and then a feast for the schoolchildren. On that day was our glorious Patron first honoured as Patron of little children, and our work committed to his care. Our poor Father was happy that day and so was I, but we said little beyond wondering whom God would call to assist us and how He would make the way clear. The growth and expansion of the Congregation was remarkable. Yet, Mary faced many difficulties. In particular, she found working with Mother Bernard challenging indeed. 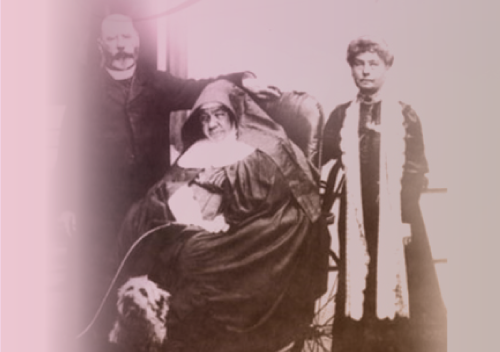 When the sisters met in Sydney for the General Chapter of 1889 they chose her to be Mother Bernard’s Assistant General. What followed was a difficult time for both women. Bernard suffered much because she was inadequate for the task while she and Mary sometimes clashed because they had different ideas as to how the Congregation should be run. Often Mary, who always urged her sisters to be loyal to Bernard, was grateful when Bernard asked her to visit the sisters in places at a distance from Sydney and to supervise the first Josephite foundation in Victoria. 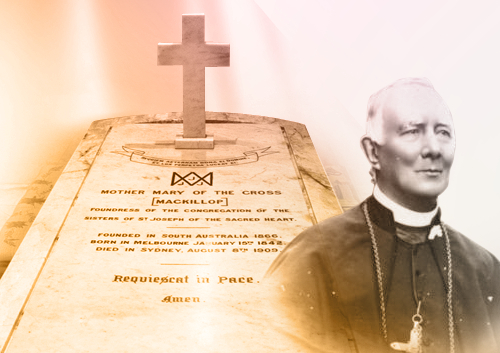 This arrangement came to an abrupt end when Mother Bernard died unexpectedly in August 1898, shortly after Cardinal Moran had informed her that her appointment had been extended until the sisters’ General Chapter of 1901. 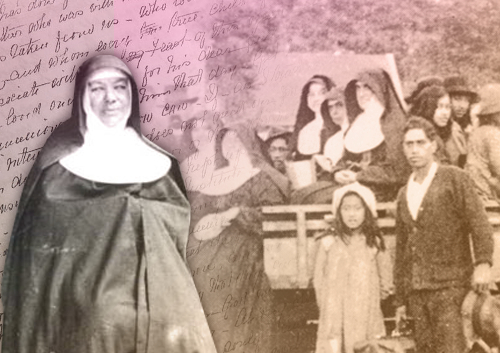 Mary was visiting the sisters in New Zealand when she received news of Mother Bernard’s death. As Assistant Mother General, she had to hurry home for she was responsible for the calling of a General Chapter to elect Bernard’s replacement. Cardinal Moran, who was shocked at her death, was heard to say that he would not interfere in Josephite affairs again. He encouraged Mary to go ahead and arrange the Chapter in accordance with the prescriptions of the Josephite Constitutions. Consequently, for the first time in seventeen years, the sisters were free to elect their Superior General. They had no hesitation in choosing Mary for this role. Almost at once she announced that she intended to visit every Josephite community in Australia and New Zealand as soon as possible. She had virtually completed this demanding task, and had spent much time supporting key foundations such as the Boys’ Orphanage at Kincumber, when she suffered a stroke while in New Zealand. As a result of her stroke, Mary was confined to a wheelchair for the rest of her life. This handicap did not prevent her from taking an active interest in the sisters’ spiritual, professional and physical wellbeing. In fact, ever since the foundation of the Congregation she had been particularly concerned that sisters receive adequate teacher training. Initially they had received this by way of the pupil-teacher system in vogue at the time. Then, in 1900 she oversaw the establishment of a Free School at Mount Street, North Sydney, as a Practice School for trainee sisters. In 1907, and acting on the advice of Archbishop Carr of Melbourne, she had this Training School registered with the Victorian Board of Registration. Over time this institution grew and developed until, by the late 1900s, it became part of the Australian Catholic University. In many ways the Institute is progressing. The schools are succeeding and most are giving satisfaction… Early in April we are sending a foundation to Clermont in Rockhampton Diocese … Another leaves for Paeroa, Auckland, where school will be opened after Easter. A very kind friend has promised to pay for the building of a new wing to the Kensington convent. By mid-winter we shall have our Free School erected. This school will be a blessing to the district and afford us the facilities for training our novices in our school and on our own grounds… The new building at the Boys’ Orphanage will be formally opened in Easter week. So you see the work is progressing. Among other important events of this era were the opening of the Foundling Home at Broadmeadows in Victoria and the transfer of the Adelaide Refuge to a fine new building in suburban Fullarton. After the Wilcannia-Forbes Diocese was cut off from Bathurst in 1897, the diocesan sisters stationed there applied for amalgamation with the Central Josephites in North Sydney. This process was completed by 1902. Likewise, some diocesan sisters from Creswick in Victoria also amalgamated with the Central Congregation. It is the duty on us all to vote - for this reason - all must have their names on the Electoral Rolls where they are placed. See to this at once. Get advice from some leading man in whom you have confidence or from the Priest, but keep your voting secret. Find out who are the members proposed for election and vote for those who are considered most friendly to the Church and Religion. Every so-called Catholic is not the best man. Over time Mary’s health gradually deteriorated. Even so, she was re-elected as Congregational Leader. Slowly she handed most of the administrative work of the Congregation to her assistant Sister La Merci Mahony. Before you go away I must say a few words in type as I cannot speak them. They must be brief. God bless you all. I trust you have had a good Retreat and that its fruit may be seen in your lives during the coming year. Remember it is my wish to see you all—unless when it is quite impossible. Today I have been much better than usual and have been all the morning waiting, but very few came. Even in my chair I can give you my blessing, which I do with all my heart, and ask your prayers. Whatever troubles may be before you, accept them cheerfully, remembering whom you are trying to follow. Do not be afraid. Love one another, bear with one another, and let charity guide you in all your life. Your loving Mother in J.M.J. I had written this, as you see, on St Joseph's Day, but was not able to finish, so I shall add a few lines today to thank you for your letters, offerings and good wishes, which is all I can manage. Your fond Mother in J.M.J. On his last visit to her Cardinal Moran remarked:Today I believe that I have assisted at the death bed of a saint. Large numbers of people attended her Requiem Mass at St Mary’s Church, North Sydney, and followed her funeral procession to the Gore Hill Cemetery. 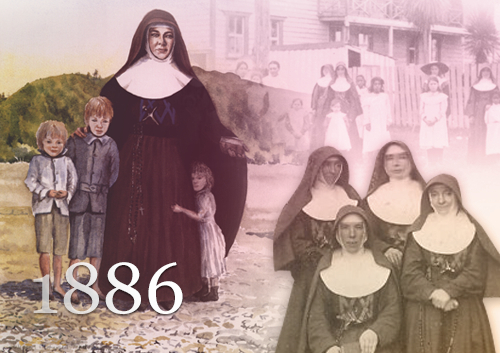 At the time of Mary’s death there were more than 600 sisters living in 106 houses in many different parts of Australia and New Zealand. They were caring for over 1000 needy children and adults in twelve charitable Institutions, and were teaching more than 12,400 children in 117 schools. The tiny seed sown back in Penola in 1866 had indeed become a large and fruitful tree. Mary brought the message of human dignity to all whom she encountered. Stories are told of the many occasions when she showed her compassionate love for those whom she met. educated Nancy Bruce, an Aboriginal child in Penola, giving her the promise of a bright future. visited Hugh Fagan on Death Row in the Adelaide Gaol. This very angry man was so deeply touched by her kindness that he knelt and prayed with her. Subsequently he faced his death with calmness and courage. left a special ceremony in the Sydney Cathedral to be with Philip, an orphan boy who was dying at Kincumber. gave away her dinner to a homeless man at the convent door. travelled with haste to be with a sister dying from burns received when a kerosene lamp exploded in her hands. sat in the gutter with a woman whom others thought to be drunk and discovered that she was ill and in need of immediate care. together with the sisters, offered an elementary education to children from poor families, especially those in the poorer sections of towns and in widely-separated rural settlements in Australia and New Zealand. For all this she is honoured in the our nation and the Church. Love was at the heart of all she did. 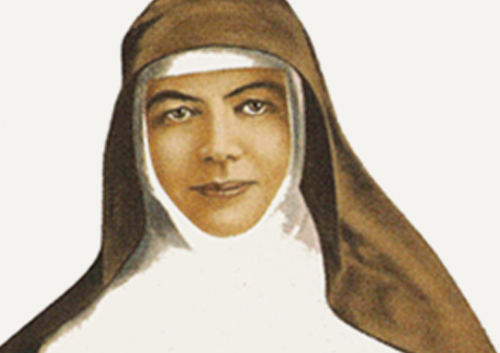 Her deep faith in God lead her to be a source of God’s love to all whom she encountered.